After nearly 50 years on the pop charts, Neil Diamond announced his retirement to tackle Parkinson’s disease. Concert dates in Australia and New Zealand that were set for March and April as part of Mr. Diamond’s 50th anniversary tour have been canceled. With 38 songs in the Top 10 on the Billboard Adult Contemporary charts, he is one of the world’s best-selling artists of all time. Mr. Diamond, who turns 77 this week, will continue writing and recording music, but would no longer play to live audiences. As part of the anniversary tour, he had already performed concerts across the United States and Europe, including dates in New York; Nashville; London; and Hamburg, Germany, when he made the announcement. Neurodegenerative disease is now the fastest-growing cause of the death in the world. It’s vastly undiagnosed and misdiagnosed. 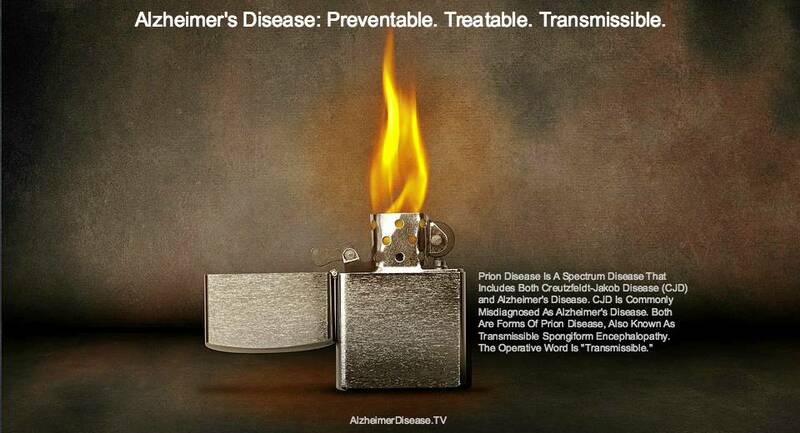 Alzheimer’s disease alone is taking the lives of 50-100 million people now. Despite millions of deaths, experts suggest that the prevalence of the disease will quadruple by 2050, if not sooner. Unfortunately, there is a growing stack of evidence that Alzheimer’s disease and Parkinson’s disease are forms of prion disease–a transmissible disease–which means that millions of caregivers, friends and family members are at risk. 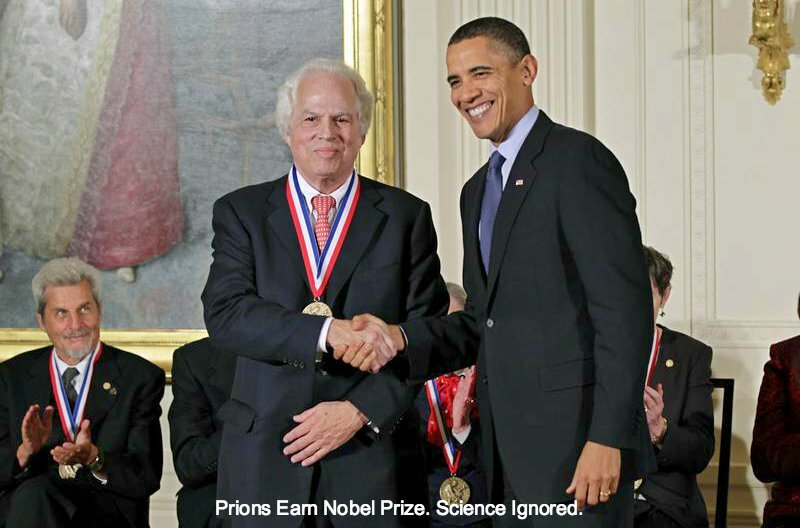 Dr. Stanley Prusiner, an American neuroscientist from the University of California at San Francisco, earned a Nobel Prize in 1997 for discovering and characterizing prions (PREE-ons) and prion disease, also known as transmissible spongiform encephalopathy (TSE). The operative word is “transmissible.” Prions are a deadly and unstoppable form of protein that migrates, mutates, multiplies and kills with unparalleled efficiency. Prions cause fatal neurodegenerative diseases in mammals. The infectious prions are in the bodily fluids and cell tissue of victims long before they know they are sick. TSE is a spectrum disease also known as prion disease. The spectrum includes Alzheimer’s disease, Parkinson’s disease and an extremely aggressive version known as Creutzfeldt-Jakob disease. Prusiner claims that all forms of TSE are caused by infectious prions. The prion spectrum varies in severity. It also varies depending on which region of the brain is impacted first. Parkinson’s disease is the second most common diagnosis in the prion spectrum. It’s estimated that between 7-10 million people around the world have Parkinson’s disease today. The US National Institute for Neurological Disorders and Stroke (NINDS) estimated in a 2006 report that about 50,000 new cases of Parkinson’s disease are diagnosed in the US each year, and the total number of cases in the US is at least 500,000. The true prevalence (total number of cases) of Parkinson’s disease is difficult to assess, because the disease is typically not diagnosed until the disease process is already far advanced. Therefore the actual number of Americans with the disease is almost certainly higher than the diagnostic numbers would suggest. The prion epidemic is worse in some regions of the world than others. Finland and Iceland are at the top of the list. The United States is third, where deaths from Alzheimer’s disease increased 71 percent from 2000 to 2013. Over the same time, deaths from heart disease decreased 14 percent. Prion disease causes memory loss, impaired coordination, and abnormal movements. Abnormal proteins are now associated with autism. In fact, it appears that the biggest difference between the neurodegenerative disease spectrum and autism spectrum disorders is age. Both spectrums share common environmental causes and pathologies.